Some of you have heard, Hampton Art has partnered with Jillibean Soup! We have also asked some of the Jillibean Soup team to join the Hampton Art team. You will start seeing great projects by these girls (as well as many of your favorites from the Hampton Team)! When I sat down to create this page, I knew I wanted to use as many different papers in the collection as possible. I just love all the bright and fun colours and the neutrals in the collection make it easy to combine the different colours and patterns together on one project. To get started on this 8.5x11 page, I used the Grey Salt paper as my background. I cut a 3” strip from the top of the paper and flipped it to show the polka dot side. I adhered this to the top of a scrap cardstock paper and the chevron side to the bottom of the page. I used my Cameo to cut out the title, using almost all of the different patterns and colours in the Soup Staples II collection – alternating them to create my title. I added my photo to the centre of my page and then my title underneath. I added another pop of grey with the same polka dotted side of the Grey Salt paper and created a pennant shape from it. 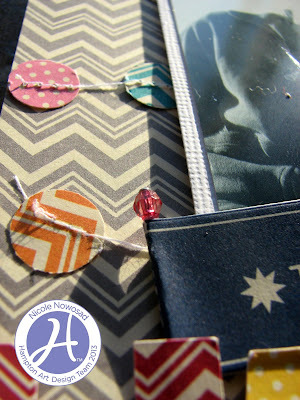 I added a Banner Bite sticker, some Alphabeans, some journaling and another cut sub-title for the page. 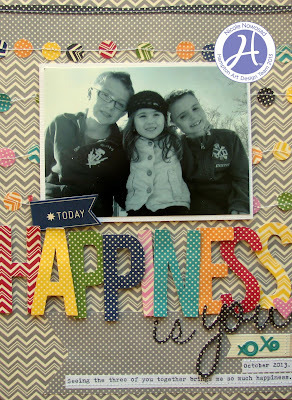 To finish off the page, I created a punched circle garland, using the patterned paper, a ½” punch and my sewing machine and layered it behind my photo. 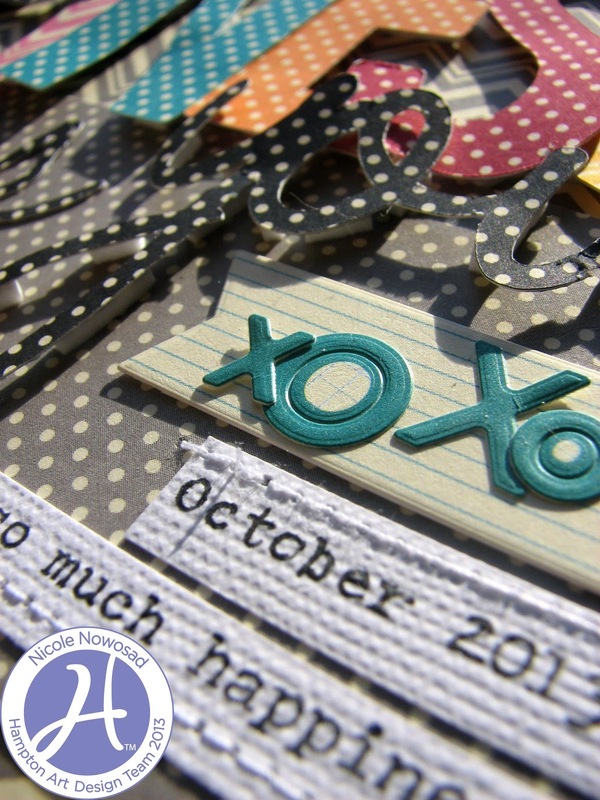 Other: American Crafts cardstock, machine stitching, Silhouette Cameo, typewriter. Super cute!! love the garland & the title!